Forex For Beginners is the prequel to my first two books, A Three Dimensional Approach to Forex Trading, and A Complete Guide to Volume Price Analysis. It is your primer to the world of forex. It has been written to lay the foundations and provide the framework for getting started in the world of forex, in what I believe is the correct way. My other books then build on what you will learn here, to further develop your trading skills and knowledge. What I try to do in all my books, is to show you how to apply that knowledge to help you become a more confident trader. After all, learning is all well and good, but if we are not taught how to apply that knowledge in a practical way, then it is of little use. It is the application of knowledge that empowers, and this is what I have tried to do here, and in my online training rooms, and all my books. What is the risk on this trade – high, medium or low? What is the financial risk on this trade? The first is the hardest question to answer, and the book will explain in detail the analysis and approach to use, in order to answer this question with confidence. The second question is more straightforward and is answered provided you have an understanding of risk, money management and position sizing in relation to your trading capital. Again, this is covered in detail in the book. As the tag line on the front cover says ‘What you need to know to get started, and everything in between’ which really sums up what you will learn. The book explains everything, from the pure mechanics to the trading methodology that I advocate, and which I have used in all my own trading and investing for over 17 years. 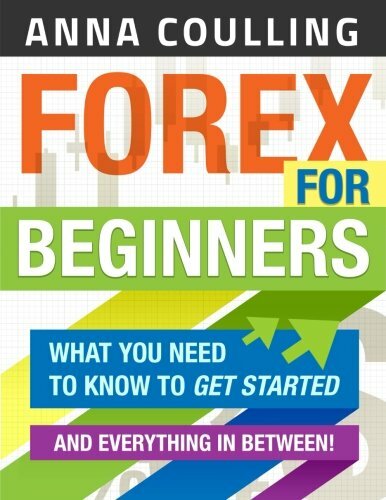 Forex For Beginners is also dedicated to all those traders who have asked me to write such an introduction, based on my knowledge and my methodology. This book is for you.